Enterprise Estonia will be taking nine Estonian Enterprises to the Electronica 2018 trade fair, held in Munich, Germany, during 13–16 November, with a joint stand. Enterprise Estonia is the largest public organisation that supports Estonian entrepreneurship. Our aim is to promote Estonian economic development by encouraging export and attracting foreign direct investments. One way to enhance export is to organize joint stands at international trade fairs. According to Tiina Kivikas, Export Adviser of Enterprise Estonia, the Electronica trade fair is important for Estonian companies as it stretches across 17 halls and brings together the very best of the world’s electronics business. “The electronics industry makes up about 10% of Estonian GDP, which is the highest in terms of per capita in Europe. 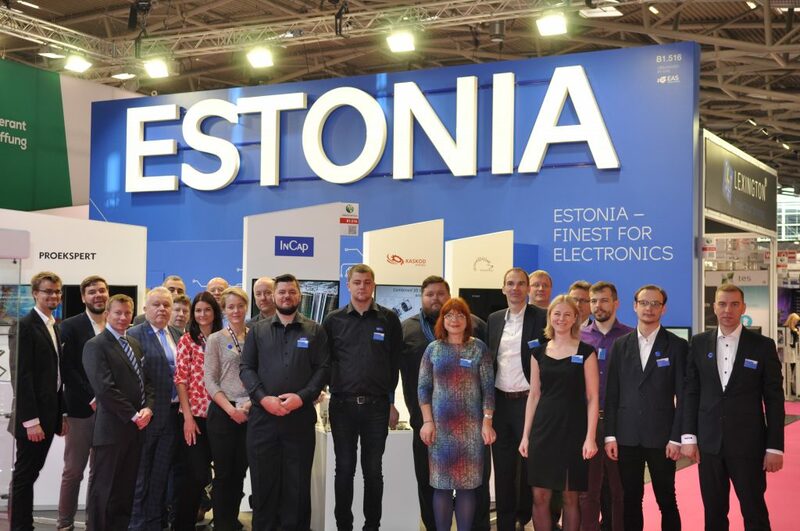 This indicates that the electronics industry in Estonia is very strong, therefore, it is of national importance that representatives of this sector participate at Europe’s largest trade fair of the field,” added Kivikas. “Proekspert helps to build world-changing solutions by combining data science and digital product development expertise with design-centered approach. We focus on giving our customers a strong competitive edge by developing and validating new business ideas quickly while also tackling possible risks and taking responsibility for the whole product development process. Attending Electronica is a strategic choice to get closer to the company’s customers and expand its footprint in Germany. Proekspert's stand is part of the Estonian booth at Hall B1.516, which gives all visitors an opportunity for in-depth discussions about hardware, software and digital Estonia,” explained Tähve Lõpp, Business Developer at Proekspert. I’m glad to say that participants of this year’s Electronica trade fair include nine exciting Estonian companies: Hedgehog OÜ, TDR Estonia OÜ, Proekspert AS, KASKOD-MTRONIX OÜ, Incap Electronics Estonia OÜ, Dicro Eesti OÜ, Krakul OÜ, Vesimentor OÜ, NOTE Pärnu OÜ and the Estonian Electronics Industries Association.